The Spanish tennis player Rafael Nadal, and Real Madrid superstar Cristiano Ronaldo, teamed up on a Nike advert to promote their new boots: the Mercurial Vapor VIII. 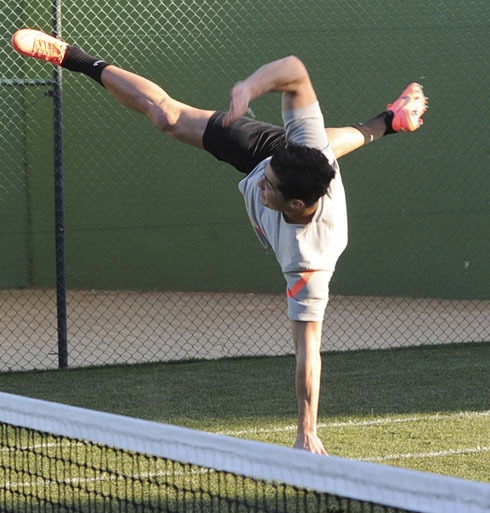 The two athletes combined tennis moves with football tricks in a funny match-up, as they displayed the new Nike cleats in style. 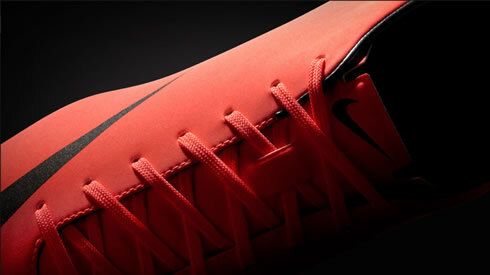 Cristiano Ronaldo and Rafael Nadal feature on a video advert promoting the new Nike Mercurial Vapor VIII boots, that was shoot at the end of February, but has only been released earlier today. Both Ronaldo and Nadal showed a great chemistry when filming this ad campaign, as they produced some really great moves on a tennis court, while mixing tennis and football tricks at the same time. 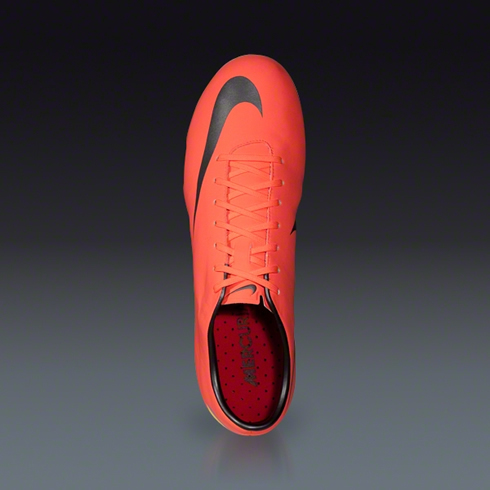 For those who are interested, you can purchase these new Mercurial Vapor 8 boots by clicking the following link: Nike Mercurial Vapor VIII. Price is a bit prohibitive though, as they currently cost slightly over $200 USD. 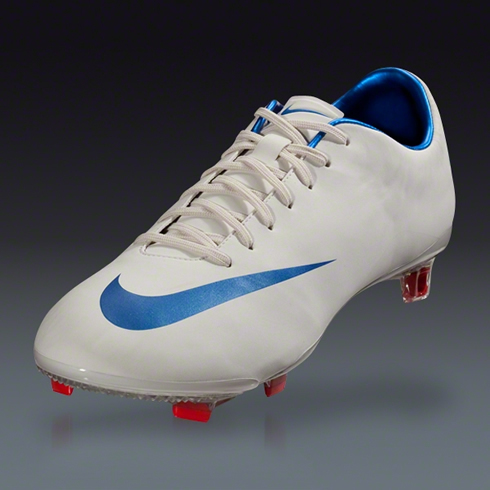 These Mercurial Vapor 8 cleats offer significant improvements that allows players to be faster but keeping optimal support and durability. 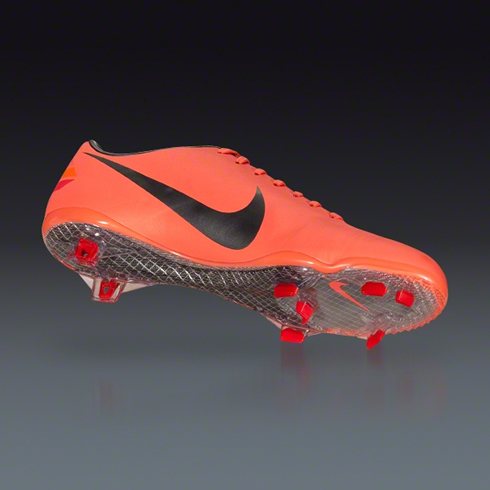 The boots are extremely light and have an unique traction system, for better sudden change of direction moves. That's precisely one of the boots strenghts, as it has been made having in mind that football players don't run in straight lines and need to constantly shift directions during a game. 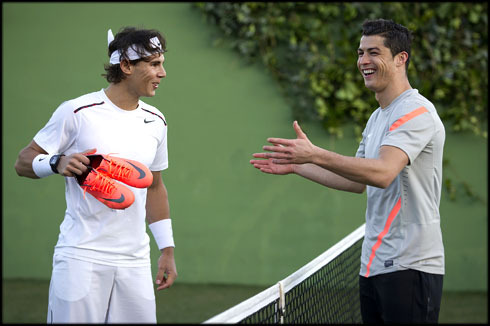 Both Nadal and Ronaldo tried them on at this Nike advert and they seemed very pleased with the experience. The Portuguese has already been playing with them in Real Madrid games, since last weekend against Real Sociedad. After shooting the video, the two stars seated down for a quick chat and interview, with Rafael Nadal taking the lead and making most of the questions. You can watch Juventus live stream, the interview video and read the questions/answers below. Rafael Nadal: "Well, filming is over and I've had a very good time, it's been fun, what about you?" Cristiano Ronaldo: "It's been a pleasure to work on this commercial with you, because you are my favourite tennis player and filming with you is something different - me with football and you with tennis. It's been a pleasure. I've really enjoyed it." Rafael Nadal: "Do you like tennis or not?" Cristiano Ronaldo: "Yes, not just me but some of my family like tennis too, like my brother that so often travels with me. It is a sport I really like aside from football." Rafael Nadal: "In my experience, my environment has been very important in terms of getting to where I am. For me, my family has been very important. How about you?" Cristiano Ronaldo: "I think you're right. I really think family is the best foundation for any succesful professional." 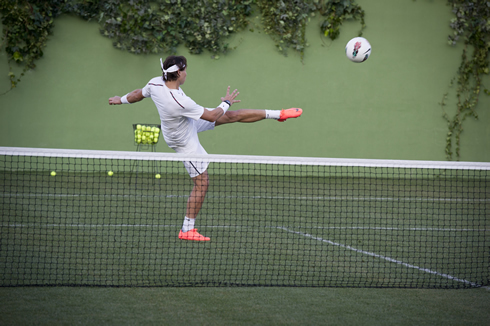 Rafael Nadal: "Well I like sport, but my favourite has always been football. I am always watching football. Actually I could watch you and your team all day, enjoying your goals. I imagine that these boots that Nike have made for you [>Nike Mercurial Vapor 8], will leave everyone behind you on a footblal pitch. I had the chance to try them on and I found them very light and very fast. What do you think?" Cristiano Ronaldo: "Well I think they are great. To be honest with you, the only boots that I have played with since I was sixteen. 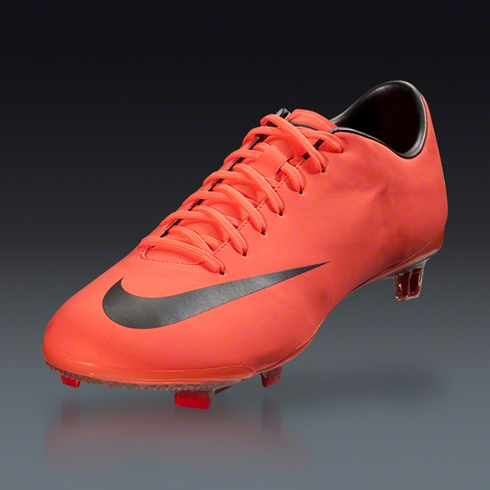 are the Mercurials. They are the ones I feel good with. They are the best, the fastest." Rafael Nadal: "Off the field, do you follow fashion? Do you like to dress well?" Cristiano Ronaldo: "I like dressing well, to look good, be well dressed, with nice hair. I think it's normal to care about those things for people like you or me. To be honest, fashion and style are really important for me." 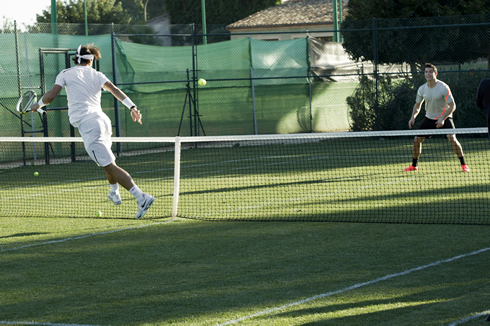 Rafael Nadal: "Well, here they are - your new Mercurial Vapor 8. I hope they bring you luck and that you enjoy them!" Cristiano Ronaldo: "Thank you Rafa. It's been a pleasure to be interviewed by you." Rafael Nadal: "All the best for the Summer. Good luck with Portugal, but take it easy..."
Real Madrid next game is for La Liga, against Osasuna, this next Saturday (31-03-2012). You can watch Juventus live stream, Osasuna vs Real Madrid, Barcelona vs Athletic Bilbao, Manchester City vs Sunderland and QPR vs Arsenal, all from our football live streams section. Cristiano Ronaldo is expected to be a starter when Real Madrid visits Osasuna, this next Saturday.